I just purchased an awesome deal from Plum District! 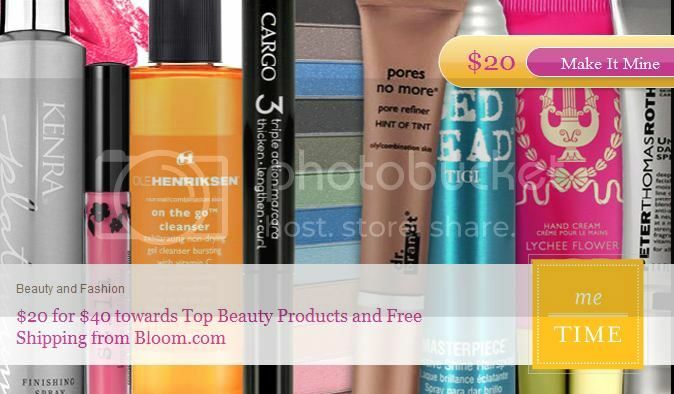 Bloom.com carries fantastic beauty products from the brand names you want like Bioelements, Burberry, CARGO, Clinique, essie, OPI, REN, stila, Supergoop and TIGI just to name a few! I was so excited to see that they carried my CARGO Foundation which sells for $34 a tube. Ouch! But now I get to buy it for only $18 plus I will have $6 left to spend! Yippie! This voucher is only available from Plum District through Saturday. Don't forget to use the code FABULOUS to get another 10% off your order making it only $18. I don't know when that code expires so use it sooner rather than later! Voucher must be used in 1 transaction. May not be combined with other offers. Free shipping included. No cash back or credit. Includes $2 BloomDollars and 3 samples free. Limit 1 per person. Expires 12/31/11.